Despite the fact that the Indian aviation industry is growing at a very good rate of about ~18% (domestic) year on year, airlines continue to face tough times because of the surge in oil prices, weak rupee & increase in competition. As a result you might have noticed that the airline prices have also increased considerably in past one year. Airlines are finding various ways to cut down costs and increase the revenue, for ex, now indigo started charging for seat selection. In this situation, Jet Airways is the most affected airline. Despite taking various measures internally like employee salary cut, lay offs, etc.. they are still in financial turbulence. So they’re now touching the benefits given to customers, like revoking lounge access to plat members. While these are temporary measures to keep the airline afloat, these benefits has to come back when they’re back to normal – this may take few months (if they make it). That aside, they are also speaking to potential investors for rescue. Either way, its going to be hard! While those are conventional ways, I think they could also consider selling JPMiles to banks/transfer partners at a discounted rate, with some kind of prepaid deal. That’s what Delta Airlines did when they were cash-strapped. American Express paid $500 million as prepayment for SkyMiles (Delta’s frequent flier miles program) to bail out Delta. American Express would have probably got lots of bonus miles for that heavy prepayment. This way, Delta gets money, Amex gets Miles on deal and so they could give grand bonus miles to card holders – That’s win-win-win situation. More about the Delta story is here. If i understand it right, Jet Airways is also trying to workout something similar with Jet Privilege to increase revenues. Maybe that’s why there are some cool Offers out there: 2X JPmiles on ICICI Visa cards (Intl spends), 50% Bonus JPmiles on purchase/conversion, etc. Anyway, these are all good, but i think the airline could also do something directly with Banks in a large scale on JPMiles front to increase the cash flow, atleast to a certain extent, if not to the tune Amex did with Delta. 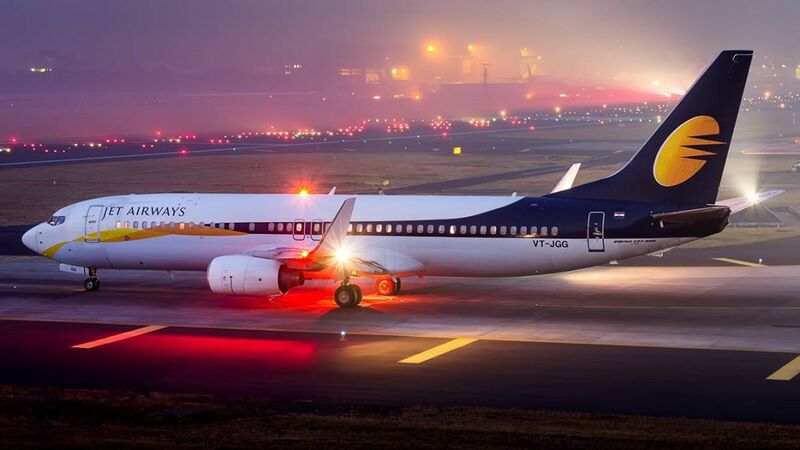 Just incase if you’re worried about your JPMiles, JetPrivilege – the company that deals with JPMiles business is altogether a separate entity where Jet Airways has 49.9% stake while the rest 50.1% is owned by Etihad. Airline loyalty programs are the profit centers for Airlines and so “Jet Airways will not completely exit Jet Privilege even if it finds a buyer who’s willing to pay a good valuation”. So its obvious that Jet Privilege revenues are good and is safe under Etihad control. JPMiles are safe even if JetAirways goes out of business as you can still redeem them on Etihad or its partners. And oh yeah, you can even redeem JPMiles for Flipkart/Amazon voucher or even book hotels using JPMiles, just incase if you go mad, as those are worst redemption ideas. Well, the reason for this article is.. i was wondering why Jet isn’t doing anything like Delta with our credit card issuers, or maybe they’re on it or maybe its not happening as its not owned 100% by Jet ?! Even though Indian Airline loyalty program is not as matured as in western market, considering the growth and future potential, i still see Delta-Amex kind of deal is still possible in India. Feel free to share your thoughts in the comments below & do let me know if you like/dislike these kind of content. Siddharth, the problems with Jet Airways are so big that these small things cannot save them, Jet has never had a sound business model or profits like say Indigo. NG started Jet as a a ticket seller using money from politicians and Dawood, you can google search and see the news articles on this as old as 2002. 1. Sell Majority stake to Tatas but they are asking total removal of NG family from Jet airways as they want all the shadiness with the airlines to go away and start afresh by merging with Vistara. 2. Try and convince Etihad to raise their stakes and give some funding, this is the preferred option for NG as he will still get to have a seat on board even after losing majority control. Interesting! Never knew Jet’s past story. That atleast answers why i don’t feel a positive vibe with them. Yes, JPMiles stuff is not going to help them at current state, but if they could make a deal, atleast it would help to pay bills for the lounges! If its Tata, then that would be a huge news, at the same time tata would become monopoly in premium airlines segment. Thanks again for sharing your views! I am fine with either Jet-Etihad or Vistara getting the Bombay slots as i do not like Air India as my only Full scale carrier option into Bombay. Tata sons can buy 51% and have majority control without any problem. Etihad can buy 49% themselves and get any close Indian business partner to buy 2% and thus having majority control. Now, NG is just looking which option will get him more money and some seat on board even if he loses majority control which is inevitable. Its a treat to read your views as there are rarely any website providing updates related to Credit card. Its simple, precise, kind of a summary! Keep Writing! Actually, loyalty programs are cost centres for airlines in hopes to get business, not profit centres. Yes, their point is to bring more profit by promoting loyalty, but they themselves are cost centres. Your points is a liability for an airline that they have to pay back to you. It’s kind of like advertising, the point is to sell more, but the advertising itself is a cost not profit. And Jet has been running up these costs for reasons best known to them. One of the biggest advantages Jet has in selling is that it does not wholly own JetPrivilege, which would otherwise have been a huge liability to offset for any buyer. Will Tata like that they have to give out 100s of thousands of free tickets to old Jet customers after they buy the airline? Certainly not, especially as Jet customers will have nowhere to go except Tata anyway. This is and has been one of the breaking points in acquisition of Air India. This was one of the big reason why AI want to sell in pieces instead of whole entity is because nobody wants their miles and catering business. I don’t see this scenario panning out in consumer benefit in any other way unless either Etihad or a Skyteam airline buys Jet out. Which is unlikely. We’re all screwed. Now this cash is nothing but JPMiles which they owe us. So Jetprivilege is sitting on loads of JPMiles (its actually Cash). However, this needs to be paid to “Jet Airways” or “Partner Airlines” when we redeem. So as long as we don’t redeem, they’re happy. But if we all start redeeming, then its becomes a HUGE liability. This is when devaluation happens. However, for this game to get better, they do advertise, etc, so they can have even more JPMiles (cash) with them. End of they day, its a profit center as not everyone redeems to get Rs.1 value. A lot of JP members just don’t redeem them at all. >>>American Express paid $500 million as prepayment for SkyMiles (Delta’s frequent flier miles program) to bail out Delta. American Express would have probably got lots of bonus miles for that heavy prepayment. It appears that this is the pre-payment done to Jet Privilege (JP) for “tickets” on Jet Airways for those who redeem “etihad miles”. As this deals with Miles, they made payment to JP. And JP in turn pays this to Jet Airways (as they need money) to purchase those tickets from Jet Airways (for Etihad). Wow, this is interesting. So, within Airlines, they seem to deal with Miles based on ticket cost. Whereas with Banks, they pay per mile to JP. In other words, what i thought should happen is already happening within Airlines ecosystem. Just that the bank side txn isn’t happening. Forget about JP miles, they started cancelling two of my domestic flights and didn’t bother to arrange for a alternate ticket with another airline nor fully refund the ticket, the bank charges are gone. Such instable the airline has become! How do you actually redeem the miles on non-Jet airline? Is there any portal to search the offerings? Sid, did you or any of the other readers ever redeem miles on any other airline? You need to email them the details to check availability & book. More on this coming very soon in a separate article. I have 100k points on my Citi PremierMiles card and 40k points on my Citi Rewards credit card that I am planning to convert to JetPrivilege points. I already have about 50k JetPrivilege points and the net converted points would give me substantial points to book an overseas roundtrip ticket. Please let me know if the analysis is right ? Kindly suggest if you recommend any other alternate options to redeem the credit card points. Wont recommend Jet airways given its financial situation. Almost everyday there’s news about Jet Airways financial struggle. Most of the planes are grounded. I hold HDFC and ICICI JetPrivilege cards. I do not see this issue getting sorted anytime soon. Do you think it’s advisable to replace these cards to other such travel variant cards..?